Grab your pickaxe and shovel - lots of new Minecraft fun is on the way! Attention Minecraft fans! We’re here with some of the biggest news to come out of the blocky world in some time. A brand new game was announced in the Minecraft franchise, called Minecraft: Dungeons. 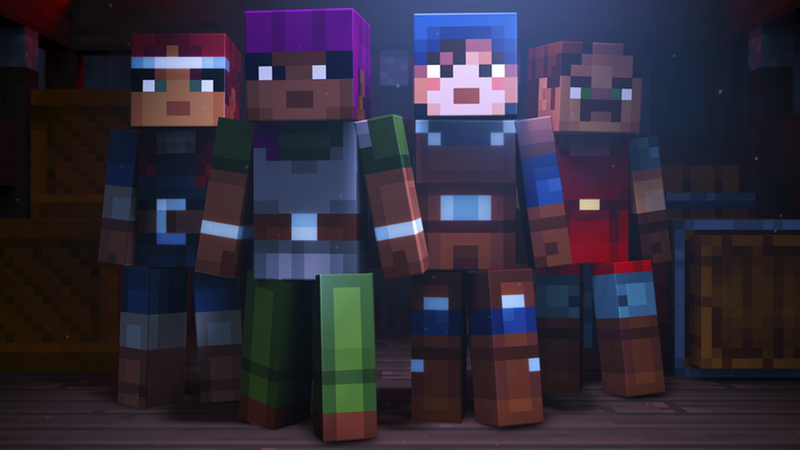 Minecraft: Dungeons is an action-adventure game that will allow up to four players to team up to explore dungeons on a quest to save the world’s villagers and defeat the evil Arch-Illager. Kids and adults will be able to explore canyons, swamps, and mines as they collect new weapons and items that will help them survive. Along the way, they’ll face off against new kinds of enemies. While players can team up with friends, they can also test their skills by playing on their own. Minecraft: Dungeons will be released on PC in 2019. Don’t worry, though -- just because a new Minecraft game is being created doesn’t mean the original game is being forgotten. A new update called Village and Pillage will launch in Minecraft in early 2019, and it will add some major changes to the game’s villages. Right now, Minecraft’s villages are pretty basic. They’re made of a few standard building types, like some houses and maybe a blacksmith’s shop (depending on the size of the village). You can trade items with a few villagers walking around, and maybe even swipe a few of their growing crops for your own base, but other than that -- once you’ve seen one village, you’ve basically seen them all. With the Village and Pillage update, new kinds of villagers will be added to the game. Villagers and the villages themselves will also begin to look different, depending on the biome they’re found in. A Minecraft blog post said “some completely new villages” will also be added to the game. Finally, the Village and Pillage update will add scaffolding to the game, which is made of bamboo. Apart from the Village and Pillage update, Minecraft will be updated with pandas and new cats in the near future. Plus, the Taiga, Desert, and Savanna biomes will also be updated in the future, though we don’t know exactly when. The Taiga biome will be updated first with new features and a new in-game creature, but additional details haven’t been revealed. We’ll make sure to let you know when these updates hit the game. Happy building!